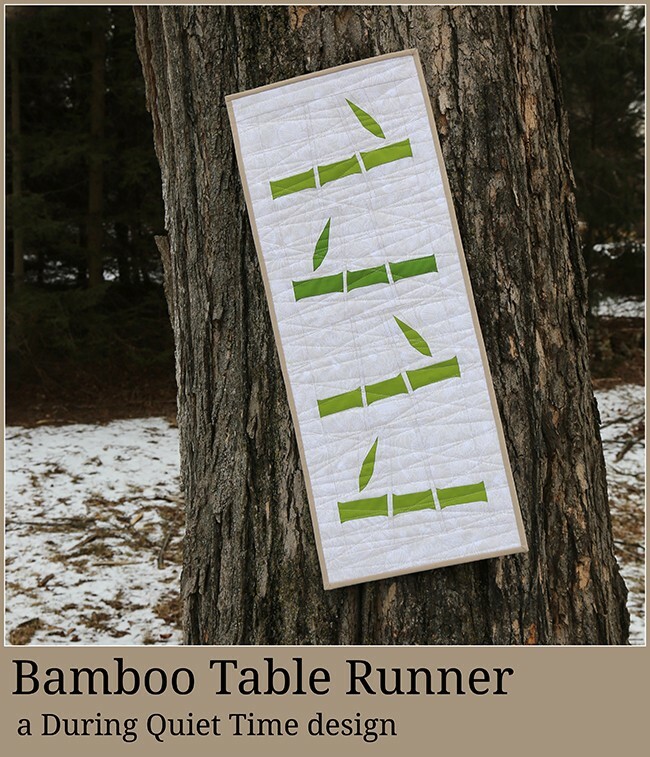 The Bamboo Table Runner project that I showed yesterday can now be purchased as a PDF pattern in my shops. Links are in my sidebar to Etsy, Craftsy or my Pattern Shop. The bamboo table runner is minimalist and striking, finishing at 12” x 31”. In addition to the table runner instructions, the block pattern is provided in two sizes, 7″ x 9″ and 9″ x 11 1/2″. Pattern includes a numbered, colored diagram as well as mirror image pattern pieces, ready for foundation piecing. Basic paper piecing directions are not included. This pattern does not have any curves or Y seams. Thank you for your eagerness to try the pattern! I hope you enjoy it.